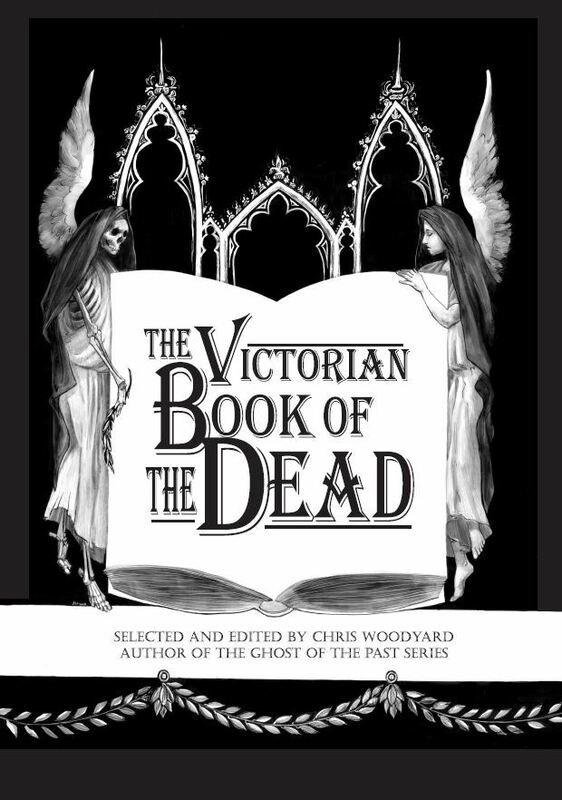 OUR BEST SELLER From Chris Woodyard: The Victorian Book of the Dead, an international collection of the morbid and mournful. There’s a new interest in the history of death and mourning rituals. I’ve dug through long-buried newspapers and journals, for this fascinating look at the 19th-century obsession with the culture of death. The Victorian Book of the Dead unearths extraordinary tales of Victorian funeral fads and fancies, ghost stories, bizarre deaths, mourning novelties, gallows humor, premature burial, post-mortem photographs, death omens, and funeral disasters. Resurrected from original sources, these accounts reveal the oddities and eccentricities of Victorian mourning. Packed with macabre anecdotes, this diverting, yet gruesome collection presents tales ranging from the paranormal and shocking to the heartbreaking. See the fact sheet here and the indexes here. The Ghost Wore Black: Ghastly Tales from the Past. This is my first NATIONAL book, a collection of Victorian and Edwardian ghosts, evil entities, Fortean mysteries, and the paranormal panics and obsessions of long ago. Other recent publications: The Headless Horror: Strange and Ghostly Ohio Tales and The Face in the Window: Haunting Ohio Tales! [You don’t need to be from Ohio to enjoy these treasure-troves of long-lost ghost stories and fortean mysteries!] Purchase your autographed copies today by clicking on the links. This is also the home of the Haunted Ohio blog. The topics on this blog cover the paranormal, the historical, the macabre, and the fortean from far beyond Ohio, flitting through time and space. I invite you to subscribe and comment. At HauntedOhioBooks.com you’ll find fact sheets about each of the seven Haunted Ohio titles and the new Ghosts of the Past series (the two new books above) as well as information on how to purchase these titles and other books on Ohio ghosts. Teachers and librarians will also find information on how to use the Haunted Ohio series in the classroom, lists of haunted places in Ohio that you can visit, how to collect and write a book of local ghost stories, Chris Woodyard’s advice to young writers, and an author biography and interview with the author. Please note: Chris Woodyard is no longer doing any bookstore, school, or library appearances, author talks, or radio/TV appearances.